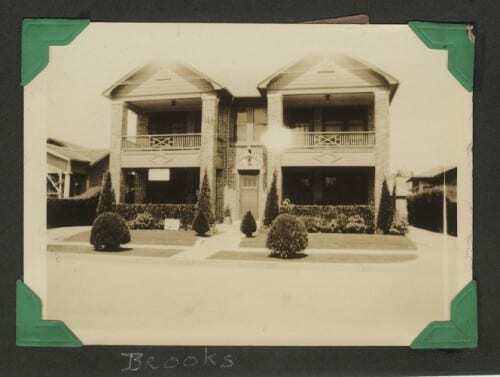 Brooks family home, 1932. Cook Dallas/Texas Image Collection, DeGolyer Library, SMU. No known relation to Allen Brooks. A high-quality version of this file may be obtained for a fee by contacting degolyer@smu.edu. Old Families: Brooks. Courtesy of Southern Methodist University, Central University Libraries, DeGolyer Library. A high-quality version of this file may be obtained for a fee by contacting degolyer@smu.edu.